We are going through a once in a lifetime technology shift, that has the potential to transform every industry and every business. It is evolving at a pace very few of us have ever experienced. Instead of asking “What is the IIoT?” the question now is “What can IIoT do for me?” The first step in this remarkable transformation is fundamentally changing the way that we think about business and automation assets. It involves shifting investments from older technologies and business strategies to investing in new innovative business models based on the latest technologies. This transformation is a necessity to stay competitive, and you need to address these opportunities before your competitors do, or you’ll be in hot water…or worse. Digital transformation will have a big impact on your business. You’ll potentially make money, recruit the best people, beat your competition… and create happier customers. For many years operational risk management (ORM) practices have been used to manage safety and environmental hazards with the sole aim of protecting people, production and profits. Effective ORM processes have proven useful in preventing adverse high consequence events and the impact on operational and profitable performance. Safety Instrumented Systems (SIS) for Emergency Shutdown (ESD), Fire and Gas Detection (F&G), Burner Management (BMS), High Integrity Pressure Protection (HIPPS) etc. are vital elements of a successful ORM strategy. New IIoT based safety system approaches are available that unlock potential productivity, performance and ultimately profitability gains. For example, the concept of using a single integrated safety and process control solution using common controllers, input / output and networks while still maintaining the risk reduction levels mandated by good design practice. Fundamental to the digital transformation is the use of IIoT technologies including connectivity, digitization, big data, analytics, visual clues, digital twins, artificial intelligence when combined amplify each other, creating a perfect storm of change, not just single improvements, but complete transformations. 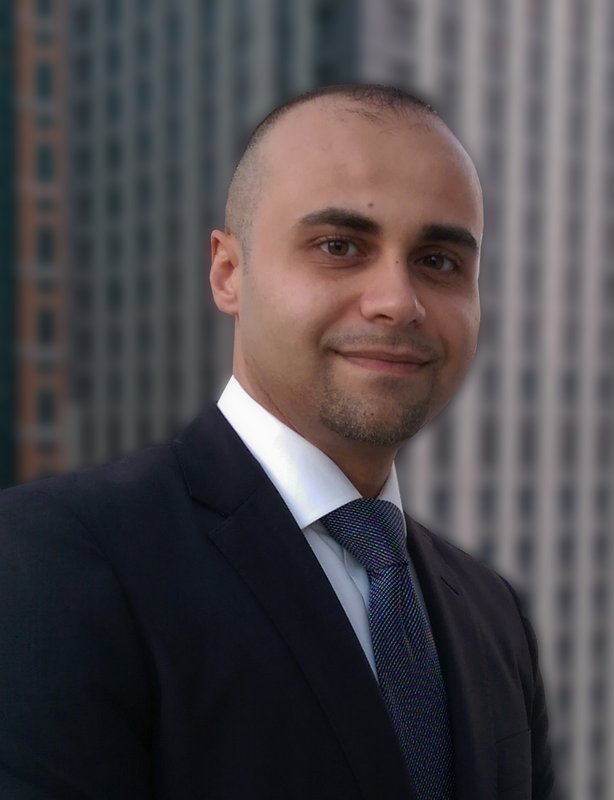 Smart connected operations leverage IIoT techniques to capture and gather large quantities of diverse data (structured / unstructured) on a scale not previously possible, convert them into actionable insight for enhanced collaboration and decision making. Although many businesses are at an early stage in the adoption of IIoT technologies, that’s rapidly changing. According to the LNS Research spotlight on IIoT, 40% of companies have started an IIoT initiative, and a further 24% planned within one year. Companies are clearly moving from investigating the impact of IIoT to a clear recognition of potential business value. The traditional view of safety is that it is a necessary cost to the business at the expense of profitability. This asserts that safety measures are required to gain / maintain a licence to operate, procedures and processes required for compliance reduce productivity and increase costs. Fortunately, pioneering business leaders are realizing that good safety performance directly correlates to good business. 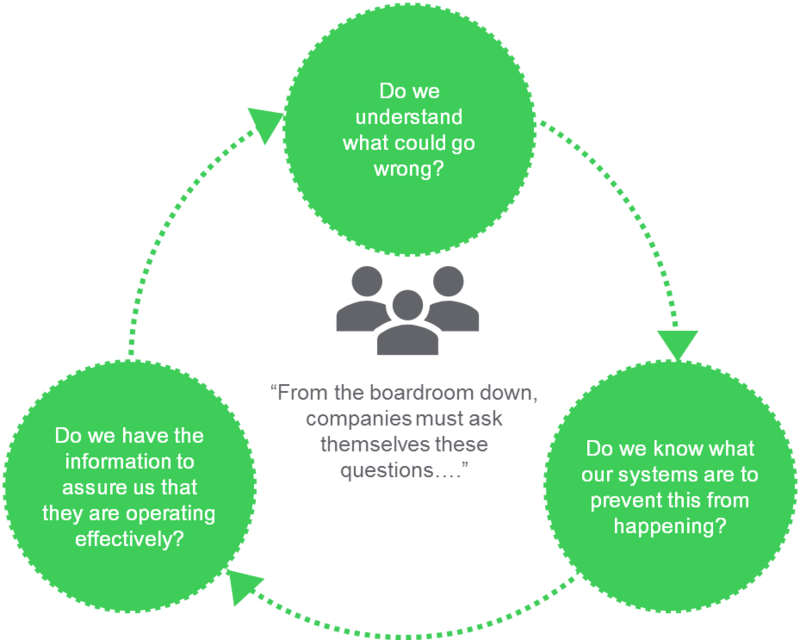 As companies evolve to a “profitable safety” way of thinking, there is a shift away from the traditional thinking of safety as a cost, to safety as a profit centre. The proliferation of new IIoT technologies brings downside risk as well as upside opportunity. One of the biggest barriers facing industrial operators is getting the rich data from aging systems not designed with the openness, quantity or structure of data in mind. No matter how hard you may try, sometimes it’s just not possible to capitalize on the opportunity IIoT presents with existing infrastructure. The IIoT is enabling new information and data structures. Technologies such as IIoT gateways, Edge controllers, Cloud computing, inherent Ethernet backbones are increasingly enhancing and displacing existing systems. Two-thirds of manufacturers already deploying IIoT technology are using it to break down the traditional hierarchical approach to manufacturing systems and data silos. But as we solve one problem, we run the risk of creating new, different problems. Introducing any new technology brings new risks, adding more connectivity increases the potential cybersecurity attack area, bridging IT and OT domains – two formerly independent domains – may bring fundamental changes to the business model. Following a systematic lifecycle risk approach is vital for effective operational risk management. International standards for Safety (IEC 61508, IEC 61511), Cybersecurity (IEC 62443), Information Security Risk Management (ISO 27005), Occupational Health and Safety (OHSAS 18001) and Risk Management (ISO 31000) provide a systematic methodology and framework. These standards share a common requirement for closed loop risk management throughout the operating life of the asset. Operating companies should regularly revisit the risk assessments to address new / emerging threats such as cybersecurity, learn from near-misses as well as identify areas of improvement based on operational / maintenance knowledge and experience gained from a running plant. Safety system management processes and performance data often exist in silos, making it difficult to “connect the dots” and understand the interdependencies between discrete data points to get a consolidated view of dynamic risk performance for effective decision making, especially when facing time pressure and the clock is ticking. For example, in the event of an unscheduled outage and production has stopped, time is of the essence. Establishing exactly what happened, when, in what order is often labour intensive, time consuming and error prone. So, using IIoT concepts for data collection, consolidation, analysis and reporting can significantly reduce downtime, getting the plant restarted sooner and returning operations back to profit generation faster! IIoT convergence empowered by IIoT technologies is changing the relationship between business systems (IT) and control / safety systems (OT). The scope of information has greatly expanded, vastly greater volumes and variety of data now require advanced analytics capabilities, while smart connected assets and operations introduce information security threats. Historically this was accomplished by separate controllers for control, safety, addition of firewalls for cybersecurity, communications gateways, data servers etc. a whole raft of disparate equipment. 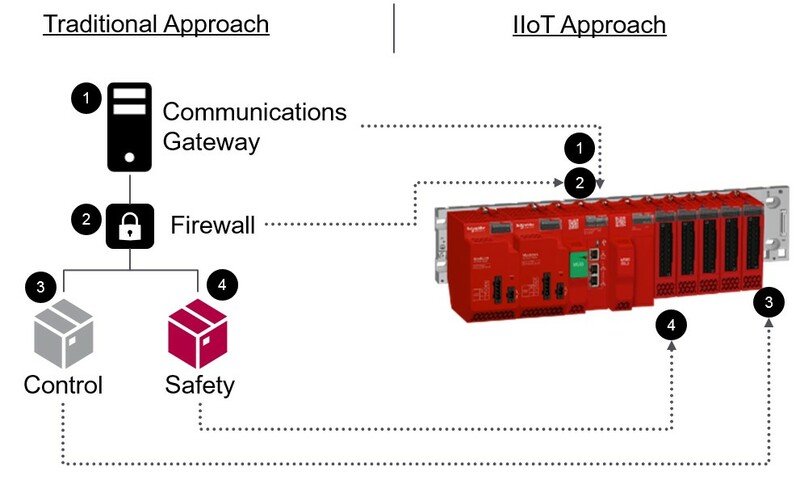 Now IIoT enabled common safety controllers provide a single, integrated safety and process control solution, with inherent cybersecurity, all in one package, to reduce, cost, risk and time to value.